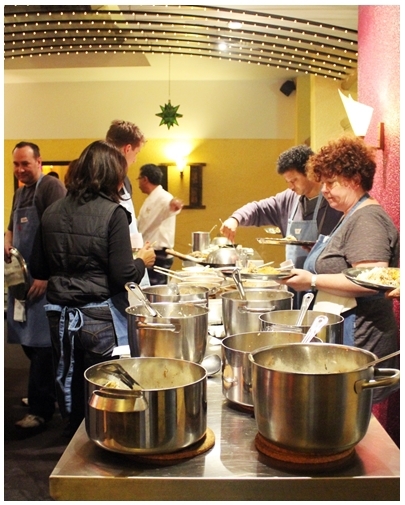 Great class and "There's no damn good curry in a hurry"
Nilgiri's Indian Restaurant in St Leonards is no stranger to many foodies in Sydney for serving authentic cuisine from different regions in India. 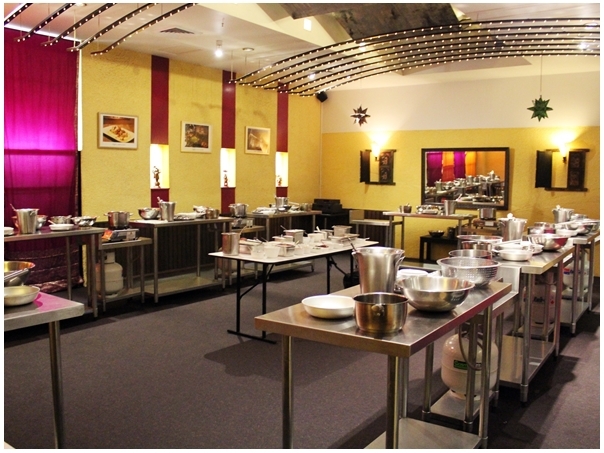 Founded by Ajoy Joshi, who is the head chef at Nilgiri's, the restaurant is also one of the best place you can learn the art of cooking Indian cuisine through a range of classes conducted by Ajoy himself. 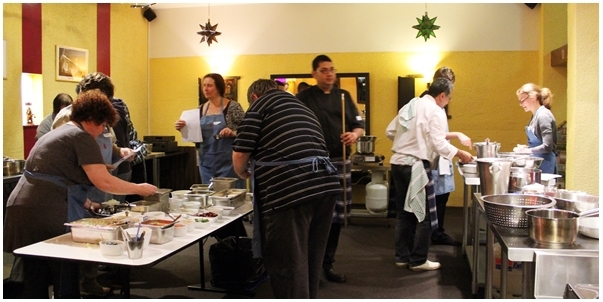 The cooking class features a variety of cuisine with different regional focus every month. 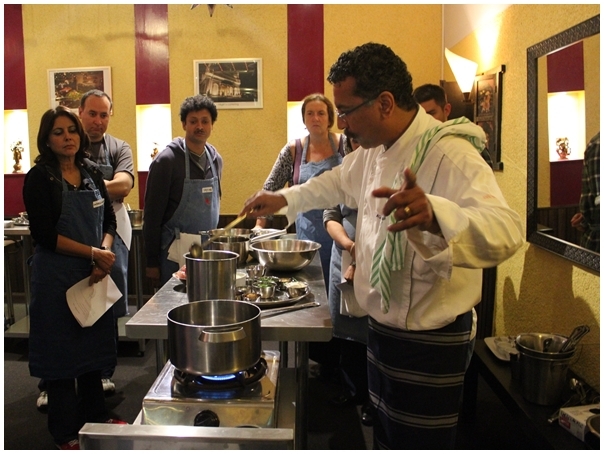 Last weekend, I attended a four-hour class themed "The Art of Fish Moiley & Cuisine of Kerala". The day started off with some light refreshment before the class began. 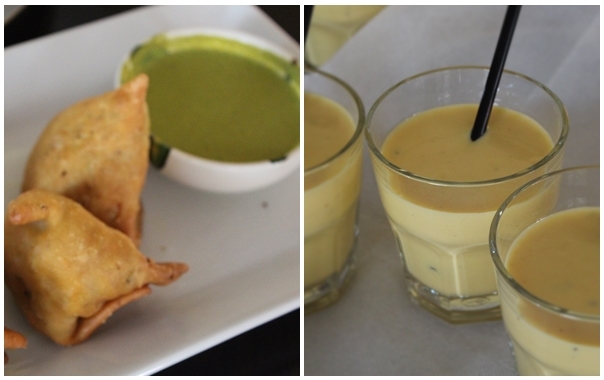 I was surprised to find samosa and yoghurt drink being served, how thoughtful! Together with other participants, we were then greeted by Ajoy and his team who ushered us to the cooking studio with exuberant interior. We were assigned to work in pairs in each workstation.The class began with an introduction on the region of Kerala - 'the land of the coconut palm' on the south-west coast of India. Ajoy moved on to explain about the spices and herbs which he described them as the 'nuts and bolts' of Indian cooking (the machine). Each nut and bolt has a specific role in a dish and cannot be interchanged. Since this was a hands-on cooking class, we observed and learned as we watched Ajoy in action, then we applied what we've learned and cooked at our respective workstation. As noted from the down-to-earth chef, cooking in any cuisine, is a fine art which uses all the five senses.You can touch the ingredients, hear the crackling sound of mustard seeds in hot oil, smell the aroma and finally taste and see the dish. In Indian cooking, you must waft as you cook because the flavour is layer upon layer. 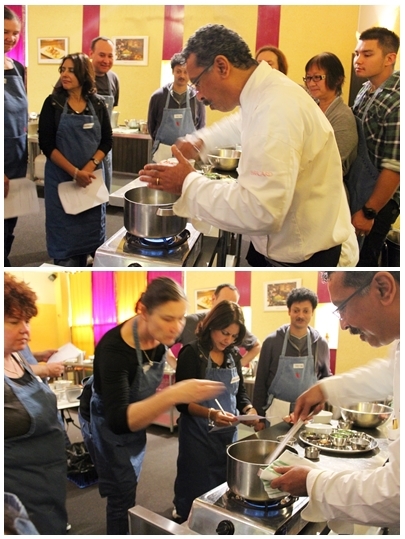 In a witty way, Ajoy also incorporated cooking philosophy, Indian culture, and techniques of Indian cookery in the session which made the cooking experience enjoyable. It felt like passage through India. While everyone was busy preparing and cooking, Ajoy went around each workstation to provide guidance and ensuring that we were all following through the process because cooking is about following a path to get to the desired destination. 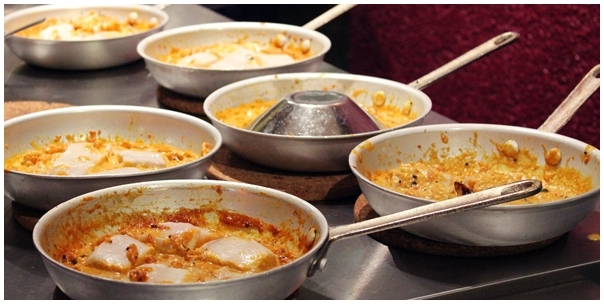 It starts from arranging the ingredients in the order when they will be cooked / added to serving the dish. 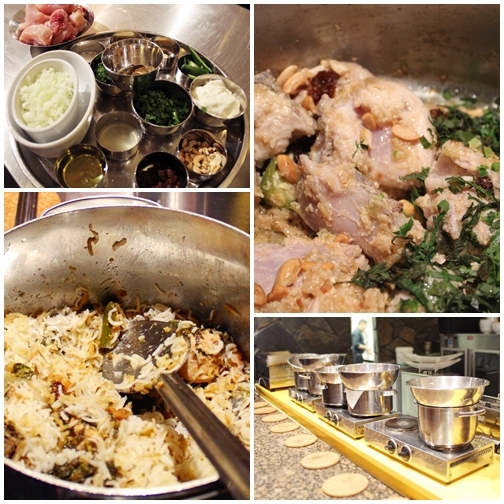 Our first dish was Moplah Chicken Biryani - a 'Malabar Muslim' specialty from southern state of Kerala. We were did quite happy with the results considering it was our first time cooking it. 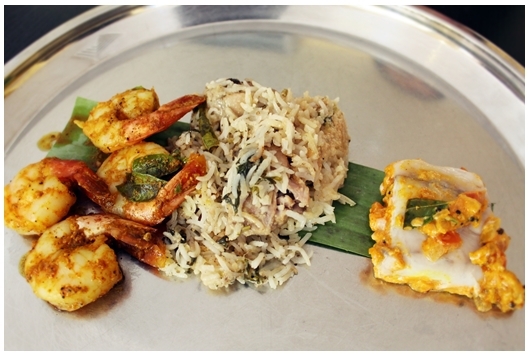 As the day progressed, we also cooked Fish Moiley, Chemeen Porichathu (prawn dish) and Cucumber Raita. At the end of the day, everyone is a winner! We all managed to cook our dishes and the best part was to savour the product from our labour of love in cooking. We end the session by having our lunch together, tasting our dishes and ready to share what we've learned with our family. A great cooking class which was enlightening and fun indeed. 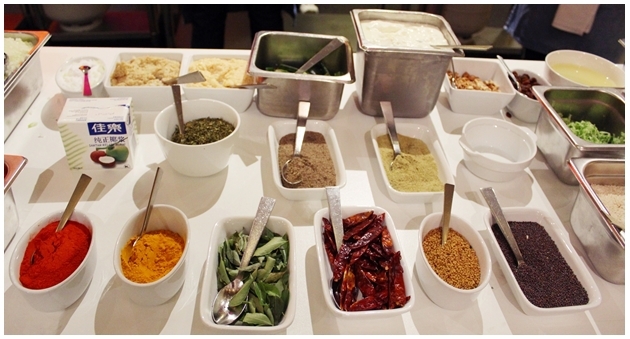 It has changed my perception of Indian food and the art of cooking Indian cuisine. Quoting Ajoy, "Cooking Indian food is like playing chess, done with care and measured step" and "There's no curry in a hurry". If you are interested to sign up for Nilgiri's Cooking Class, visit the website for more information on class schedule and cooking theme.